Copper is known to be far more poisonous to bacteria than others, e.g. stainless steel or aluminum. Storing water only for about three hours in a copper tumbler can kill harmful bacteria. Drinking a glass of room temperature water washes the gastrointestinal tract, flushes the kidneys, and stimulates peristalsis (Peristalsis is a series of wave-like muscle contractions that moves food to different processing stations in the digestive tract). Copper is a good tonic for the liver, spleen, and lymphatic system and helps in curing anemia. The health benefits of copper include proper growth, utilization of iron, enzymatic reactions, connective tissues, hair, eyes, aging and energy production. Copper melts away the excess fat. 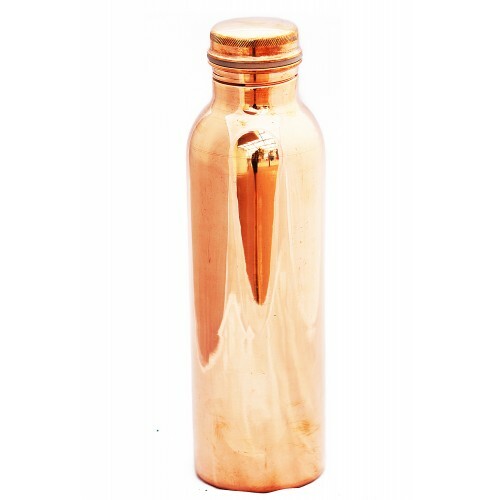 Copper water helps in maintaining digestive health, reduces fat and alleviates excess obesity.